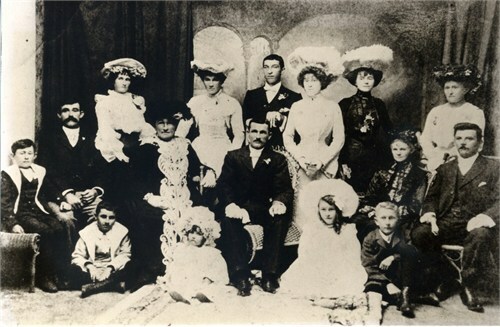 Ancestry Library Edition has recently been updated and one of the big changes is that family trees and photographs submitted by the public are now available to view. This is a vast resource but please bear in mind that all sources need to be checked. A large collection of more than 20 million records has recently been added to Ancestry covering the period 1842 to 1981. The records include electoral rolls, Maori land claims, jury lists and naturalisations and have been digitised and fully indexed. The New Zealand records do not yet have a separate country location under the Search tab. To view the records available, select all databases from the home page and type new zealand under keyword. Ancestry library edition is available within the State Library building and in many local public libraries. Ancestry has launched a new database, ‘Registers of Convicts’ Applications to Marry’ in time for Valentine’s Day. 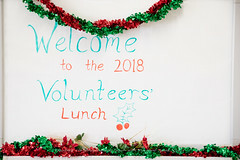 The registers from the State Records Authority of New South Wales cover the period 1826-1851 and the information given includes name, age, birth year, spouse, whether or not permission was granted and the date of permission or refusal. This database, along with all the rest of the Ancestry content, can be searched within the State Library building. 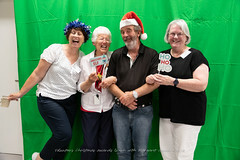 To access it go to our website at www.slwa.wa.gov.au and select How Do I Find – Electronic Resources – Databases by Category – Family History – Ancestry Library Edition. Australian Electoral Rolls 1901 – 1936 have recently been added to Ancestry library edition for all States except South Australia. Coverage varies from State to State. For example, only the 1930 and 1936 electoral rolls for New South Wales are included whereas there are seven electoral rolls for Queensland and five for Western Australia. Searching is possible across all electoral rolls at the same time or the search can be limited to a particular State. Searching can also be limited by gender, electoral district, year range or keyword. 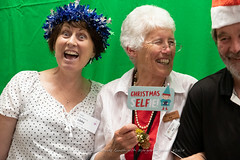 The easiest way to access this new database is by clicking on the Search tab from the Ancestry library edition home page and then selecting Australia under Browse by location. Selecting any of the States will take you to a list of Australian databases and you will see the Australian Electoral Rolls with a New/Updated annotation beside it in red. Some of these electoral rolls are already held by the State Library in other formats but, in many cases, they are available for the first time. Why not try searching for one of your ancestors or a famous Australian? The image below (221414PD) is from our Pictorial Collection and was added to the catalogue as part of the Historical Records Rescue Consortium (HRRC) project. 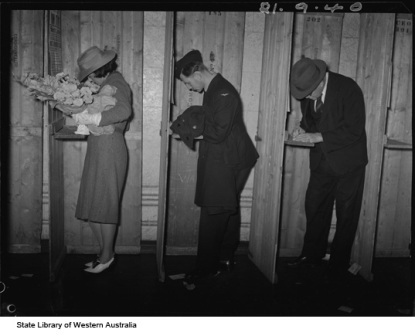 It shows three people voting in the federal election in 1940 and is part of the Collection of images from the West Australian Newspaper (BA1555). Have you tried using the FREE Ancestry library edition database at the State Library? Ancestry library edition is a subscription database, similar to the popular Ancestry.com, where you can search for information on your ancestors free within the State Library building. What else can I find? What can I do with my results? To print your results click on Print and follow the on-screen instructions for the best results. Always use the Print Preview option first because there is often a blank page before and after your image. There is the option to email your results but use this with caution as you can only ever email 5 results to any one email address. Family History subject specialists will soon be offering training courses on using Ancestry library edition for interested staff.